Empowered by Cle de Peau Beaute's unique Neuro-Skin Theory, each exquisite products in this body care line dramatically improves skin texture and imparts a natural radiance over your body. Once liberated from skin concerns, your body celebrates its own beauty. More assured, you carry yourself with renewed confidence and grace. Drawing the gaze - and admiration - of others. 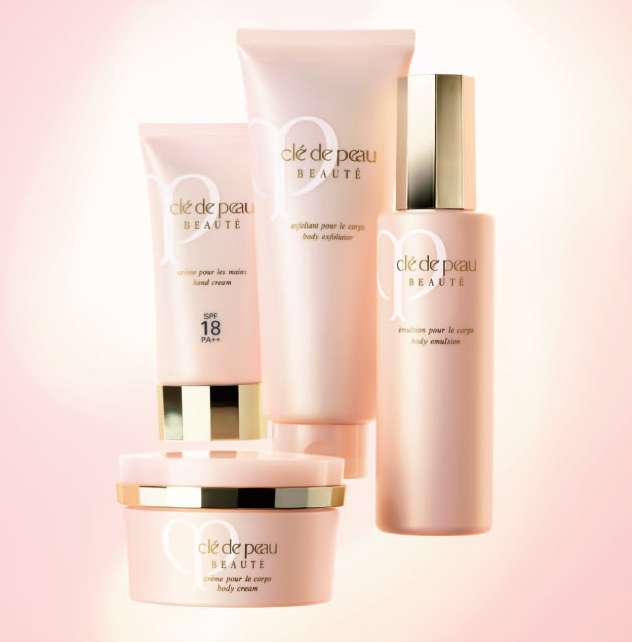 This Cle de Peau Beaute body care line include Body cream, Body emulsion, Body Exfoliator as well as Hand Cream with SPF18 PA++.